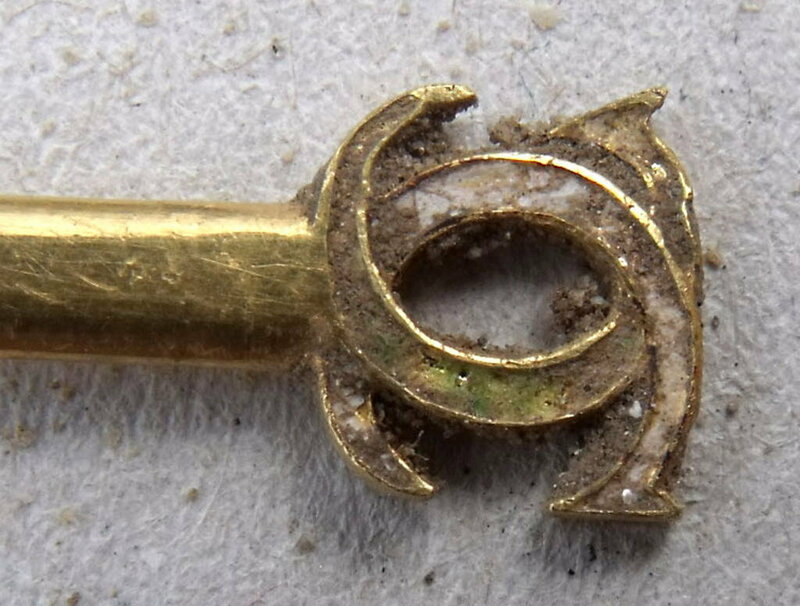 Conservators have discovered a four-inch gold hairpin that once belonged to Catherine de Medici, wife of King Henry II and Queen of France from 1547 until his death in 1559, in a communal latrine at Fontainebleau Palace. Archaeologists were excavating the Henry IV courtyard at the royal palace outside of Paris in preparation for an upcoming restoration project when they found the precious object. The pin is identifiable as Catherine’s because it is decorated with a pair of interlocking C’s that look exactly like the Chanel logo but are actually her monogram from when she was Dauphine of France, i.e., married to the heir presumptive, between 1536 and 1547. When Fontainebleau Palace conservator Vincent Droguet cleaned the encrusted grime off the jewel, he noticed the remnants of a white and green finish in the monogram area. White and green were Catherine’s colors. This small pin is of outsized historical significance because very little of Catherine de Medici’s jewelry has survived, especially jewels from before she was widowed. Other than what we see in portraits, there are only two jewels known to have belonged to Catherine extant. One is a gold and emerald pendant currently on display in a cabinet of medals in the National Library in Paris. The other is a portrait miniature medallion currently in Vienna. Neither of them have her characteristic monogram design. The latrine itself was a surprise discovery as well. In 2013, the interior of the Henry IV section will be converted into offices for the tourism bureau of Seine-et-Marne (a French administrative division within the center-north region of Île-de-France). The adjacent courtyard was excavated to ensure they wouldn’t be damaging or disturbing archaeological remains during construction. They expected to find the remains of two long-gone buildings and so they did. They did not expect to find a third building containing the remains of a communal latrine. 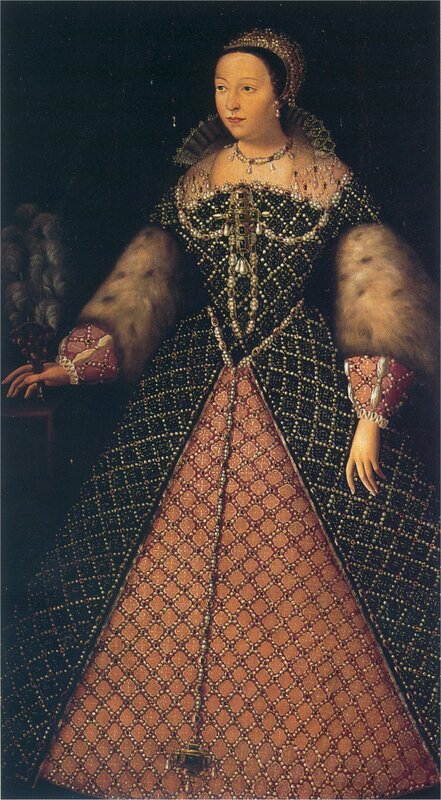 In the cesspit below, they found ceramics, glassware and three jewels: a cross, a gold Virgin Mary medal, and Catherine de Medici’s hairpin. How it got there is and will doubtless remain a mystery. She had a royal commode of her own and it’s highly unlikely she would have used a communal latrine even under the direst of excretory pressure. Droguet surmises that the pin was either stolen by or given away to someone who then lost it or dropped it in the toilet.